Jacobus Maria Hurks was born in Vught on the 21st of October 1890. After primary school he studied at the school of arts in 's-Hertogenbosch, followed by a study in Amsterdam. In 1913 he moved to Winnipeg, Canada. In 1915 he returned to the Netherlands and settled in Roosendaal, where he became a teacher at an evening school. In 1917 he worked as an overseer for N.J.H. van Groenendael at the construction of the St. Cornelius church. That same year he built his first houses. 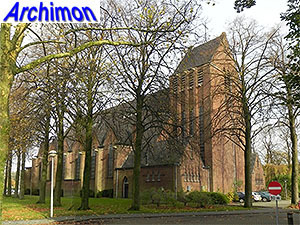 In 1919 he took a position as a teacher at the R.K. Leergangen in Tilburg, a catholic school for higher vocational education. A year later he associated himself with architect M. Vergouwen. 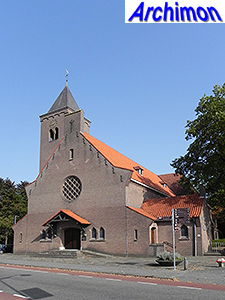 During this partnership Hurks designed his first church, the St. Joseph in his home town, a building in Expressionist style closely related to the Amsterdam School. His subsequent designs, mainly houses, were in Expressionist style also. 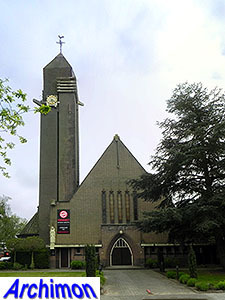 By 1925 Hurks had become an independent architect. 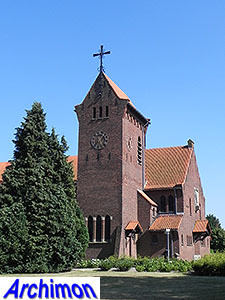 In 1928 he finally built a second church, but he did not get much assignments for religious works until in 1932 his former employer Van Groenendael died and Hurks took over his office in Breda and merged it with his own office in Roosendaal. For the next period, his office was known as Van Groenendael-Hurks architects and was based in both Roosendaal and Breda. First Hurks completed Van Groenendael's last assignments, but soon more religious assignments came. Also, a change of style came, with Expressionism becoming replaced by Traditionalism. Hurks remained at work until 1961. He died in Roosendaal on July 18th 1977. The following is a list of his religious works. Hurks' first church, a big centralizing cruciform church in Expressionist style. Formally in conjunction with M. Vergouwen. Aisleless cruciform church in Expressionist style. 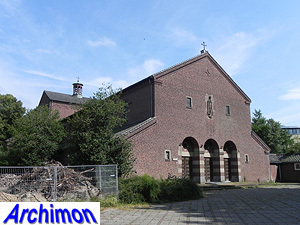 Christocentric three-aisled building in a Traditionalistic style with Expressionist elements. 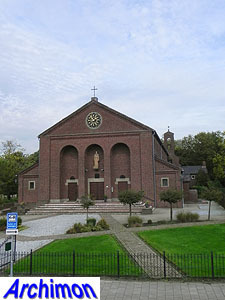 Convent Zusters Penitenten. No further details. 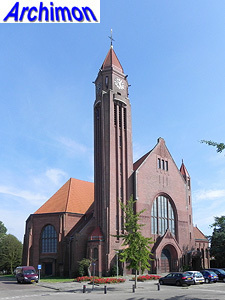 New front, nave and tower in Traditionalist style for W. te Riele's church from 1928, which was damaged in 1945. Basilica in Traditionalist style. Demolished in 2002.